​Three Rivers Inn & Suites in Three Rivers, TX has 40 spacious and beautiful suites, king sized Serta Perfect sleep beds in the singles, and queen sized beds in the doubles. Three Rivers Inn & Suites in Three Rivers, TX has 40 amazingly beautiful suites! 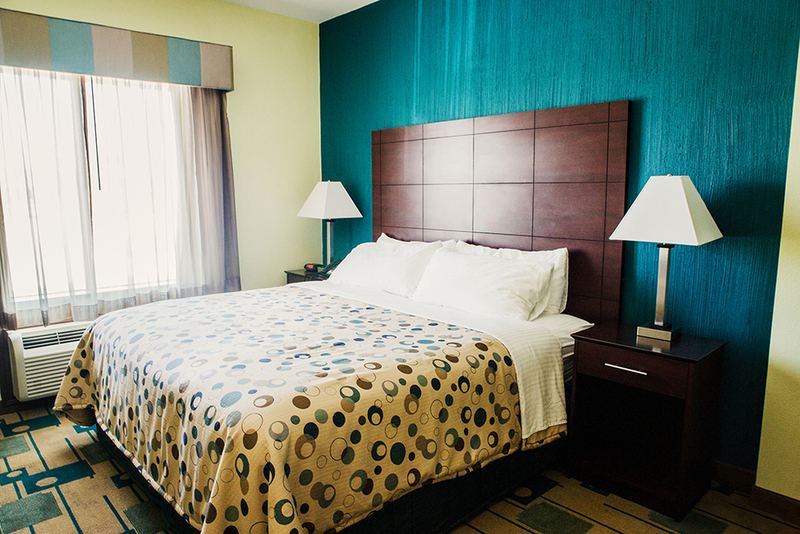 We have an assortment of Singles, Doubles, and Handicap suites. 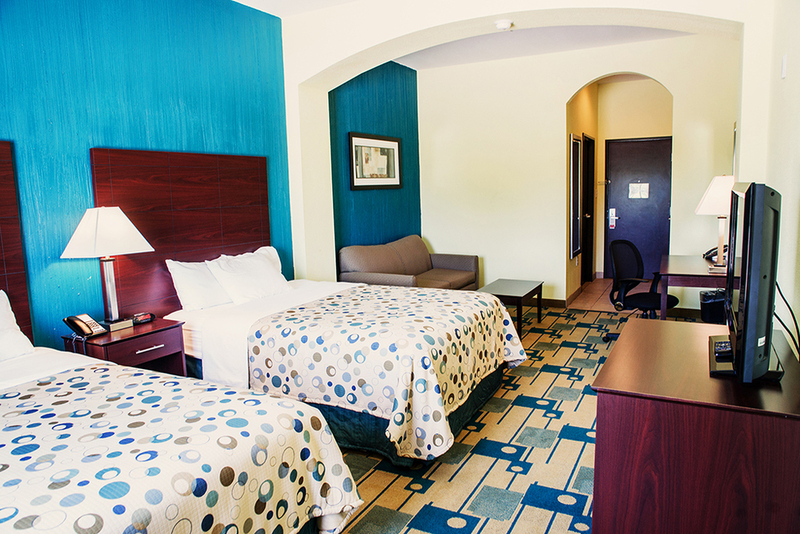 Our single suites have king-sized Serta Perfect Sleep beds and our double suites have queens. All rooms are equipped with a sleek, 32-inch LCD TV, a fully functional office desk and chair. For those of you that don't eat out very often, we have 2 ring stovetops, a mini fridge, microwave, and coffee pot in the all the rooms as well! In our non-handicap rooms, you can relax and have yourself a bubble bath in our spacious garden tubs. Roll-in showers with safety bars are installed in our handicap- accessible rooms. Our suites have a little something different to offer. 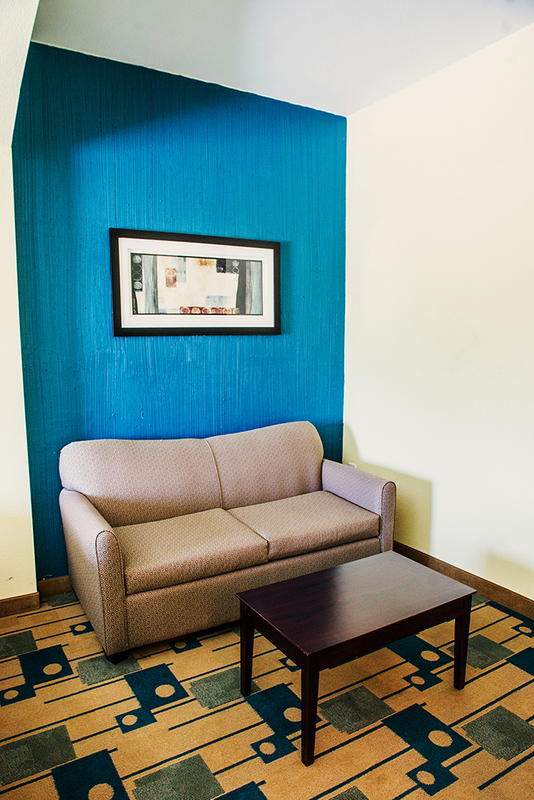 If you don't want to be in your bed to watch TV or to eat, we have a living room area made specifically for our suites! The sofa doubles as a bed! It's a true two-for-one deal! Our hotel is a non-smoking facility. We have sun terrace with garden tables and chairs outside for you to take your smoke break at. We ask you to please be courteous and respect your fellow guests.